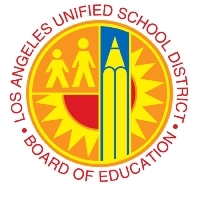 Los Angeles Unified School District teachers deserve competitive salaries, and that is what they currently earn. Even so, it is the District’s intent to provide a salary increase as soon as possible. We take issue with the figures tallied in today’s Daily News, as they are incorrect and/or incomplete. New teachers with regular credentials earn beginning minimum salaries of $45,637 per year, $5,000 ahead of the California average. Also, teachers’ salaries are based on 182 work days (two of which are pupil free) and 22 paid holidays, which equals 204 days total. Our generous health and welfare packages, with no monthly premiums, cost the District $16,432 for each employee in 2013-14. Beyond that, the District pays 13.92 percent of each teacher’s salary to cover pension contributions to the California State Teachers’ Retirement System (CalSTRS) pension, as well as workers’ compensation and Medicare. So, the average salary for a District teacher in 2013-14 is $70,000, reflecting the weighted average between elementary and secondary teachers. Then, multiply that number by 13.92 percent to cover CalSTRS pension and workers’ compensation/Medicare, the dollar figure amounts to $9,744. Adding $70,000, and $9,744, plus $16,432 for health and welfare benefits, the average District teacher earns $96,176 in total compensation. This is more than $11,000 higher than the figure the Daily News story cited as the average teacher salary in California. We believe our teachers deserve competitive pay and benefits, which is why we are working so diligently to provide raises. What’s more, we have hired 1,300 teachers this year, have reduced class sizes in eighth- and ninth-grade English and math classes, and have bolstered support for the schools in most need.